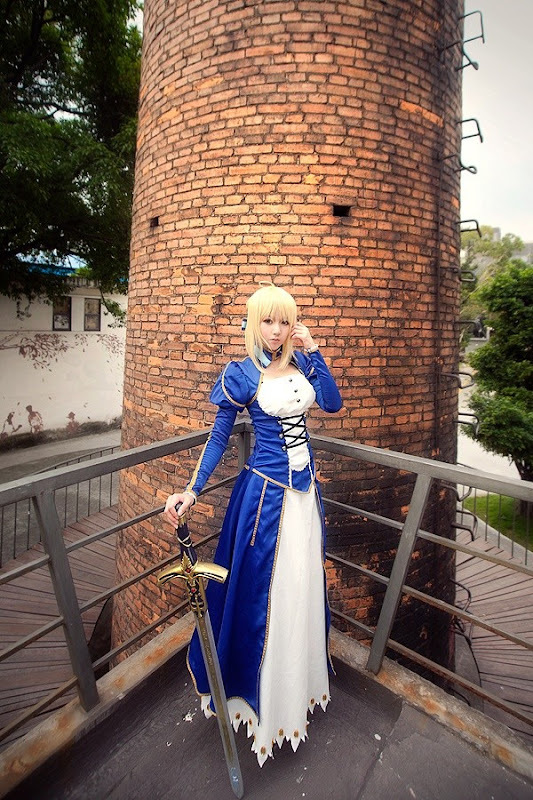 Asaki is cosplaying as Saber from Fate/stay night. 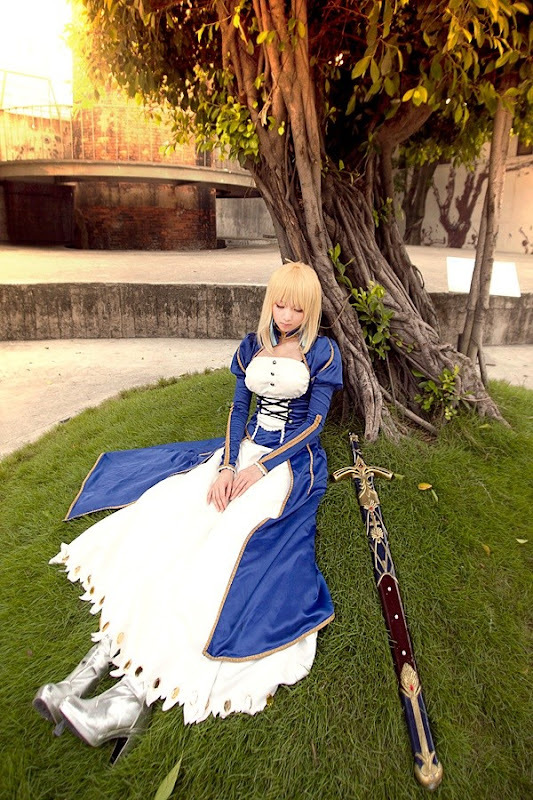 Fate/stay night (フェイト/ステイナイト Feito/sutei naito) is a Japanese visual novel developed by Type-Moon, which was originally released as an adult game for the PC. An all-ages version of Fate/stay night, titled Fate/stay night Réalta Nua, was released for the PlayStation 2 on April 19, 2007, and features the seiyū from the anime series. On October 28, 2005, Type-Moon released a sequel to Fate/stay night, entitled Fate/hollow ataraxia. Its plot is set half a year after the events of Fate/stay night.